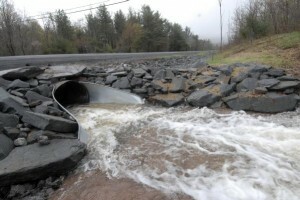 Federal officials are studying how to help Great Lakes communities better prepare for hazardous floods. The study began in 2009. The agency is holding technical workshops for scientists and informational meetings for the public throughout 2012, to share data collected for Lake Michigan, Lake Erie and Lake St. Clair. Data collection for all of the Great Lakes is scheduled to be completed by 2013. Upcoming dates for technical workshops in June held by the Federal Emergency Management Agency. 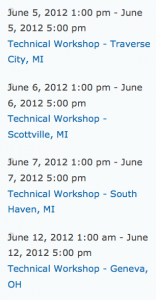 There are six workshops in June, held in Michigan or Ohio. The first one is in Traverse City, Mich. on June 5, 2012, at the Grand Traverse County Civic Center. The technical workshops are aimed at local coastal management experts, biologists, coastal engineers and other experts, but they are also open to the public. The agency will also hold meetings from July to September, to provide community leaders and the public with information about the unprecedented study, and to explain how it will result in more accurate flood mapping and planning systems for people who live in the Great Lakes basin. “In these meetings, we’ll get down to evaluating each community’s specific flooding experiences.” Hinterlong said. Other partners in the Great Lakes Coastal Flood study are the U.S. Army Corps of Engineers and the Association of State Floodplain Managers. The full schedule for the technical workshops and informational meetings are here.